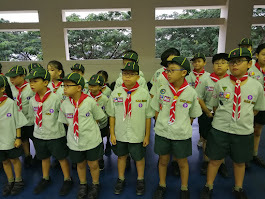 Please be in your half Scout Uniform (scout T-shirt with unit scarf, scout shorts, belt, cap, socks and black shoes) for World Scout Day on 25 Feb. All new cubs please wear PE T-shirt as the items ordered are not ready for collection. Do bring your own snacks and water bottle. Look forward to a fun-filled Saturday!